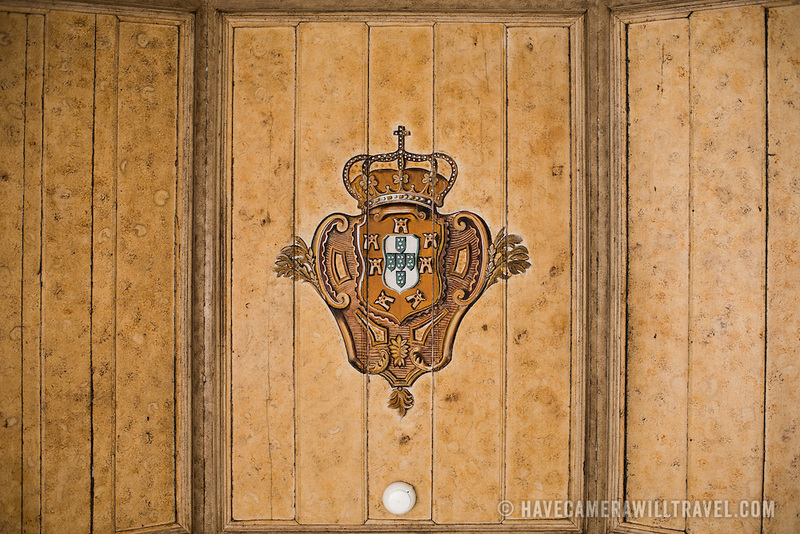 SINTRA, Portugal - An 18th century painting of a crown on the ceiling of what is now known as the Crown Chamber (Sala da Coroa). The Palace of Sintra (Palácio Nacional de Sintra) is a mediaeval royal palace in Sintra and part of the UNESCO World Heritage Site that encompasses several sites in and around Sintra, just outside Lisbon. The palace dates to at least the early 15th century and was at its peak during the 15th and 16th centuries. It remains one of the best-preserved royal residences in Portugal.